Laboratories from Finishing Technology, Inc.
MANUFACTURING from Finishing Technology, Inc. 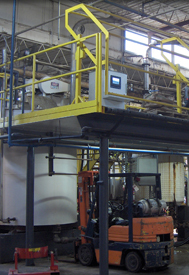 The Finishing Technology manufacturing facility was specifically designed and built for the specialty chemical industry. Currently, we ship millions of pounds of product each year all across the United States. Mixing tanks range from 200 gal. to 6,000 gal.